We are thrilled to announce a special one off workshop for students looking to achieve and utilize their splits! In this fun workshop you will be working on left, right, and middle splits, including fun variations and new ways to use them. You will learn correct warm up technique, specialized stretches for your hamstrings and hip flexors, how to get deeper into your splits and comfortably start to stretch to over-splits! Included in your workshop price is the use of our yoga mats, and special stretching materials (such as blocks, bands, and rollers). Open to all, whether you are a current student or have never even danced before! Here are our top five tips to help you not only in this workshop, but also on your journey to splits! ONE – Stay positive and work hard! Do not underestimate the power of your mind and positive/negative self talk when trying to get your splits or any flexibility skill. It is way too easy to say it was hard and to give up, but this is negative self talk and is not helpful. Get rid of it! If you wouldn’t say those things to your partner or best friend, why would you say them to yourself? Instead, encourage yourself and positively self talk – it will make a huge difference! TWO – Always be warm! Warming up sufficiently is vital to prevent injuries whilst you are stretching. Make sure you do some cardio and a thorough warm up before you start splitting, and you will find your range of motion is better too. THREE – Breathe! A lot of the time we see students hold their breathe whilst they are stretching, which actually tends to lead to tensing muscles and does not help your splits. Remember to relax and breathe deeply and slowly when you stretch! FOUR – Be Strong! Look for workouts and classes that can help to improve your strength conditioning as well. In order to improve your extension strength is also key to HOLD your limbs in place. The flexibility will get in there, but we also want to be able to do things once we reach our splits, and that is where strength comes into play. FIVE – Rinse and repeat! The key to any good flexibility skill is repetition. You will see a bigger difference in your progress if you stretch 3-5 days a week, versus if you were only just to stretch once a week. Try and incorporate your stretching and splits into your daily schedule, maybe whilst you are brushing your teeth, or having a cup of tea, or every night before you go to sleep! Make sure you join us in our STRETCH TO SPLITS workshop to put these tips into action! 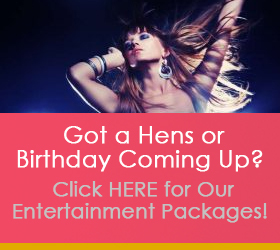 Places are limited, book today! 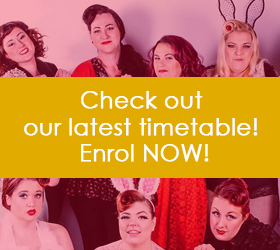 Email info@ladyvelvetcabaret.com.au to save your spot – all payments due at least a week prior to workshop to secure your place.